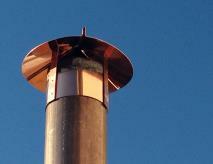 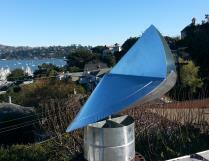 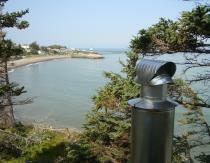 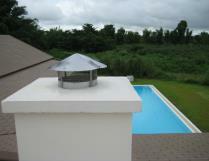 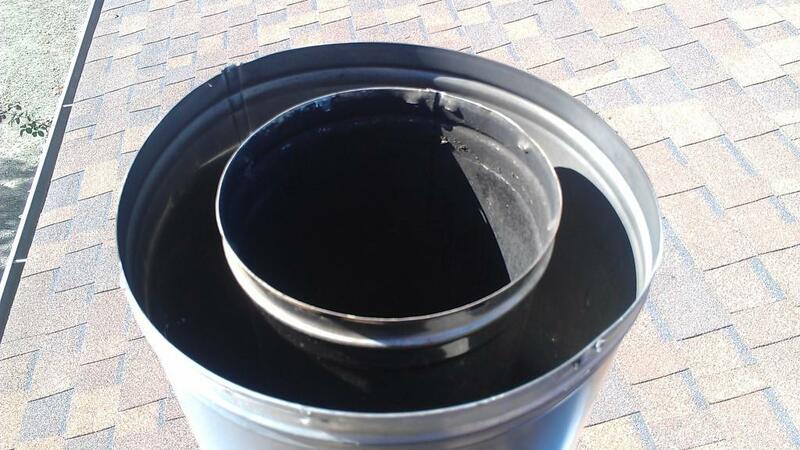 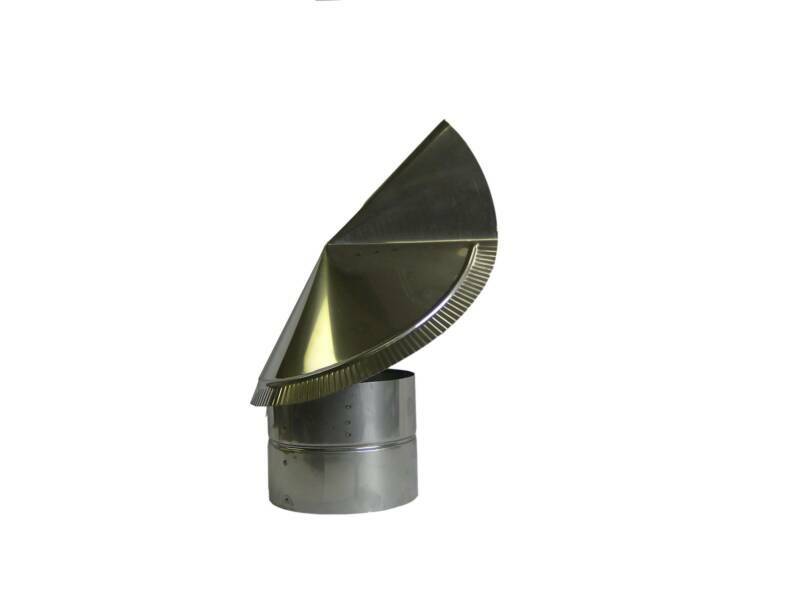 Excellent High Quality Chimney Cap Used to Provide Maximum Draft While Preventing Downdraft in High Wind Environments. 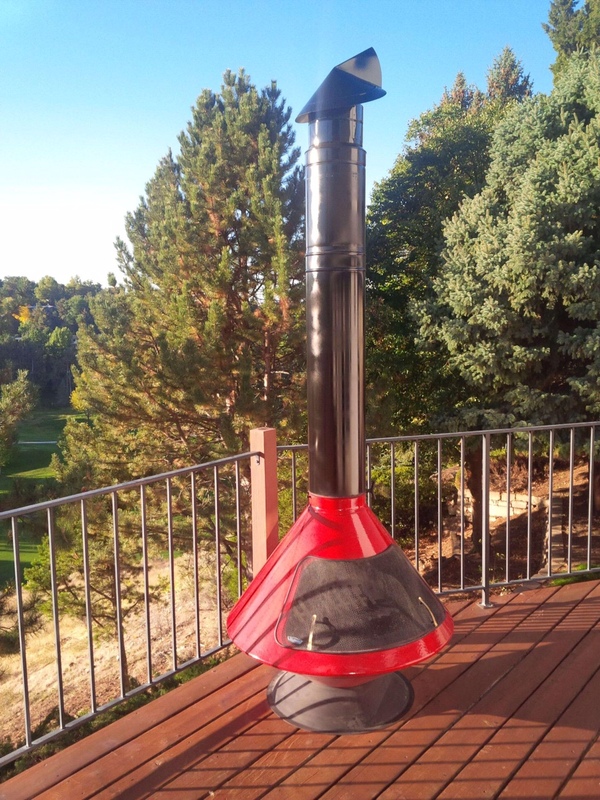 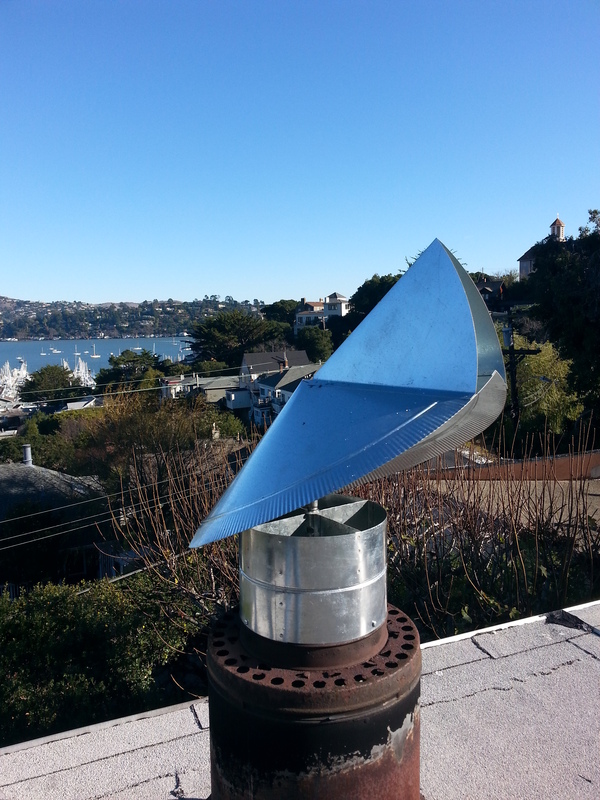 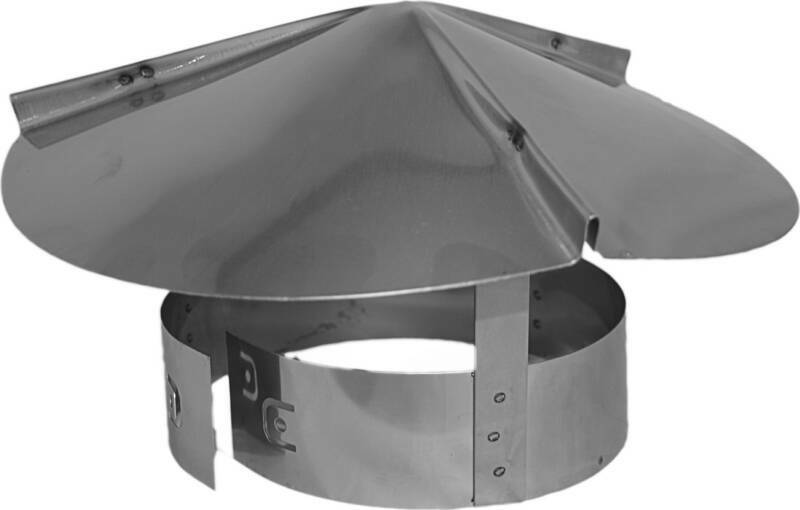 This high quality, proven chimney cap pivots with the wind to keep rain and wind from entering your chimney and complicating your stove's draft. 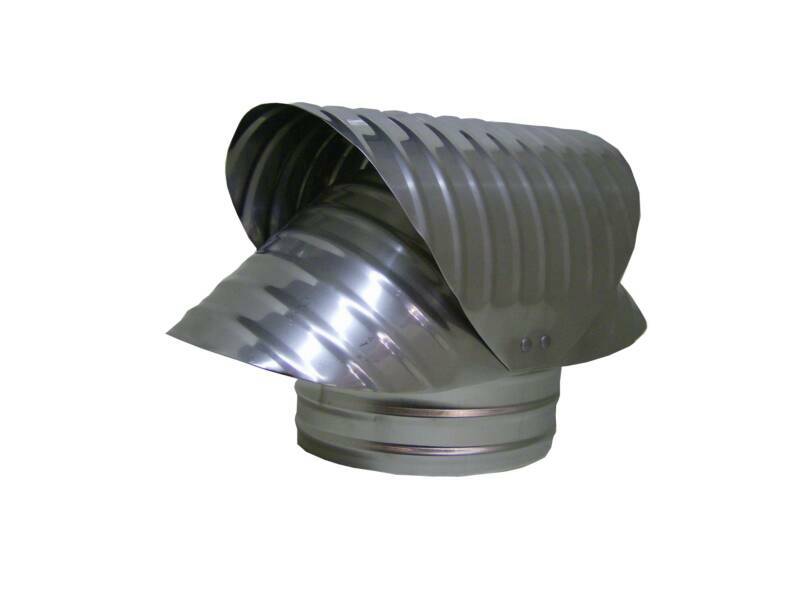 The sizes below are designed to fit the outer diameter of your stove pipe. 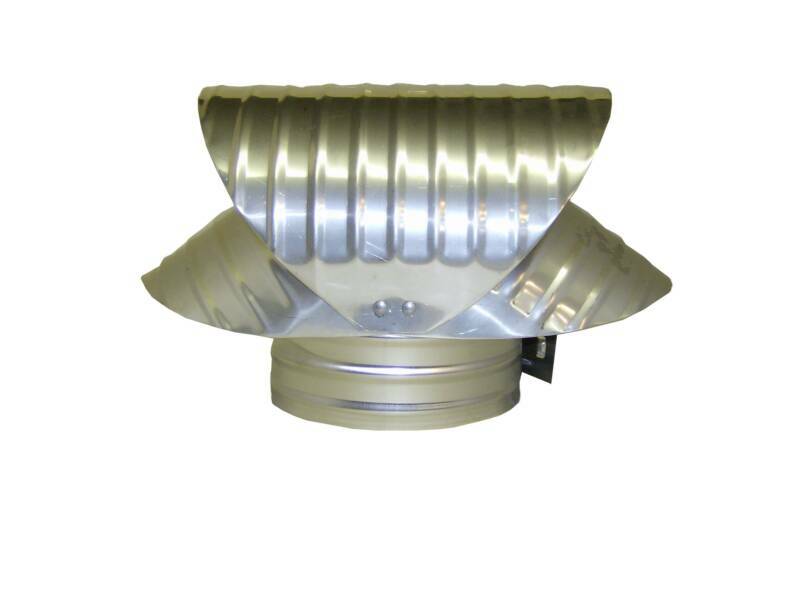 Available with or without spark arresting screen. 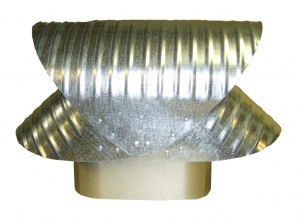 Vacuum Caps - Also called Artis Caps, these vacuum chimney caps are used for fossil fuel chimneys and other flue exhaust and are designed to prevent downdraft and/or poor air draws that can be created by wind. 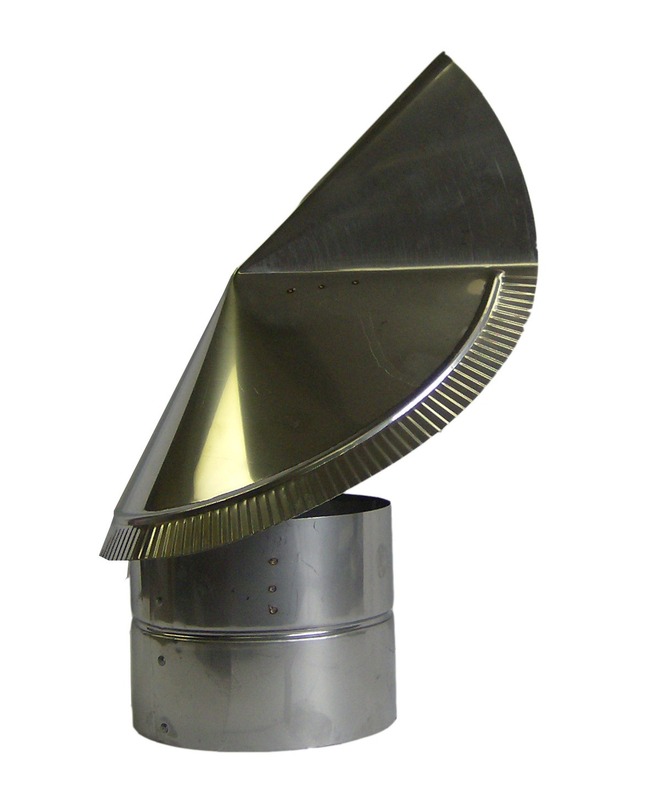 This classic design creates a vacuuming effect at it's base that pulls air and fumes out of your chimney. 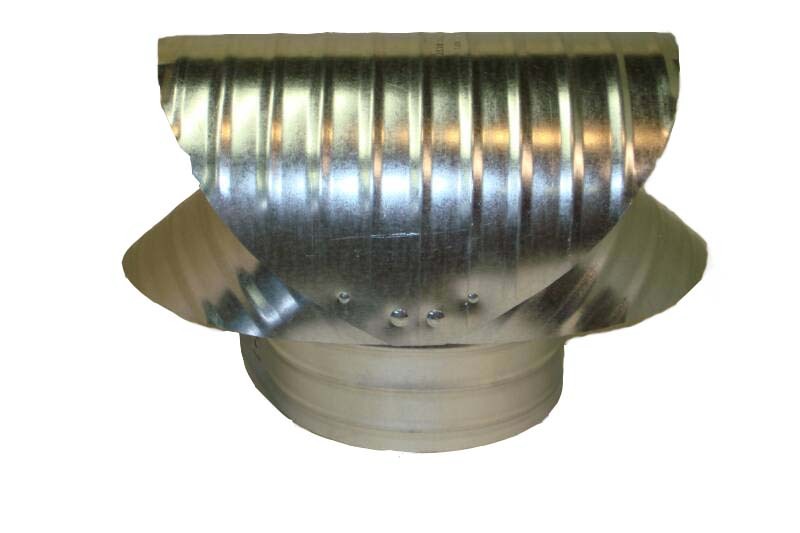 Available with or without spark arresting screen and the sizes below are designed to fit the outer diameter of your chimney pipe. 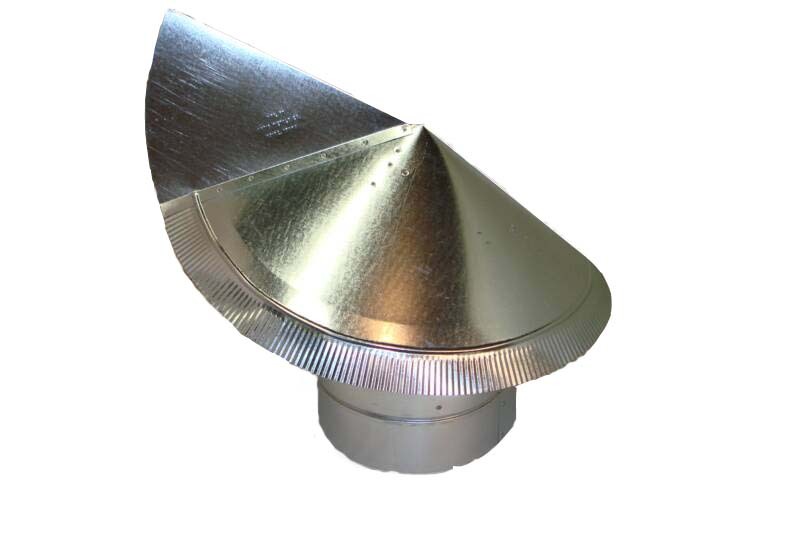 If installing on a square tile or masonry chimney see our adapters HERE. 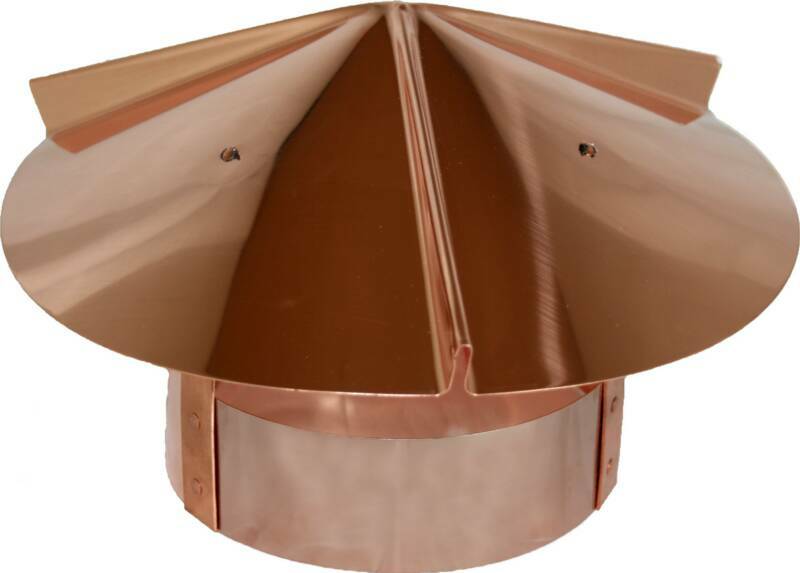 Classic vacuum cap design to increase draft, protect from down puffing or backdraft and keep out driving rain. 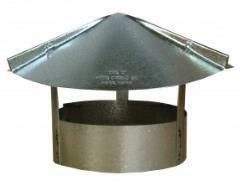 The square or rectangular adapter allows for application directly over the masonry, concrete, or clay chimney flue. 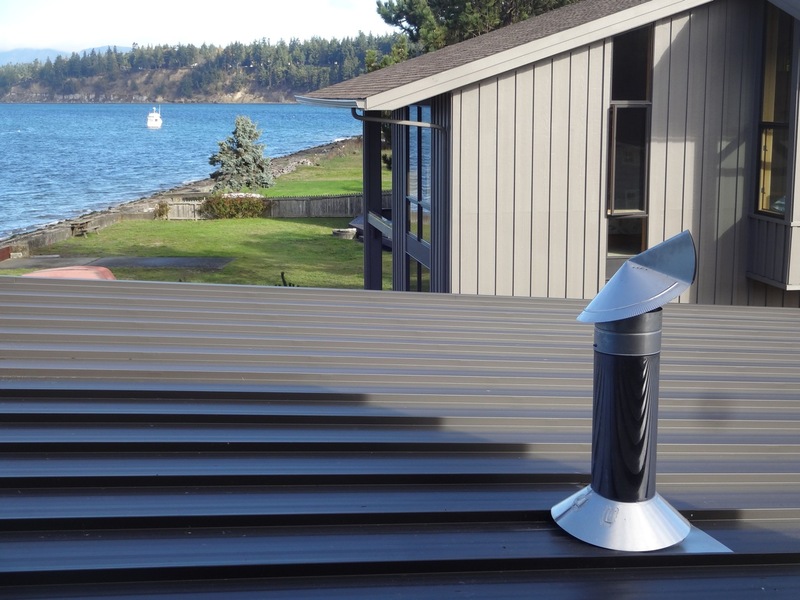 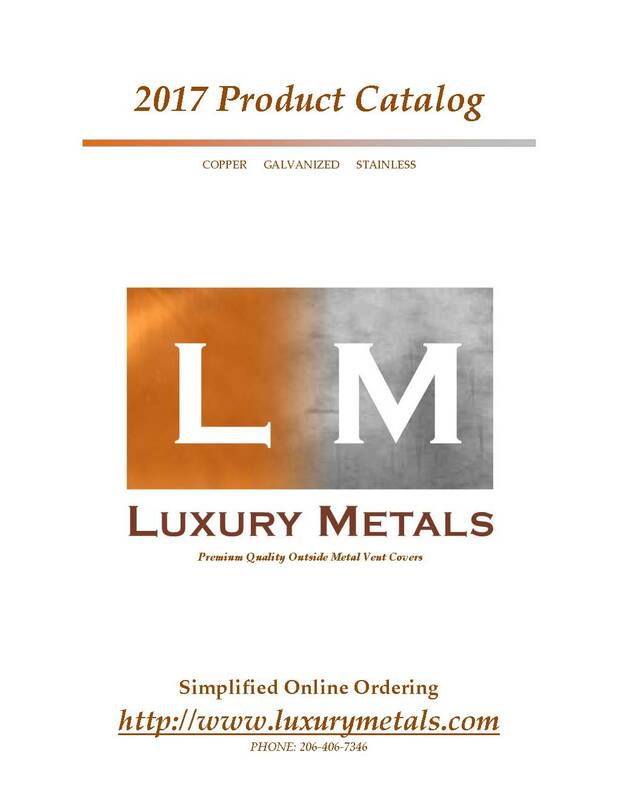 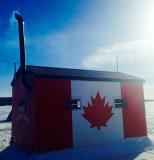 Available in Galvanized and Stainless Online. 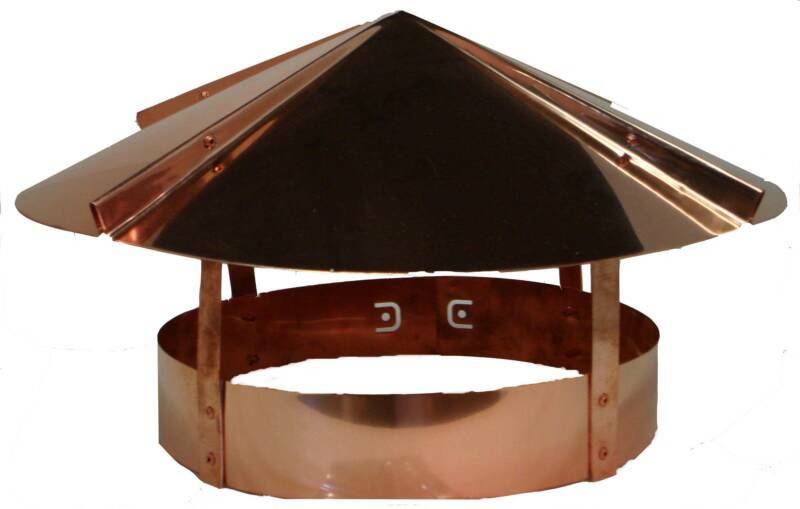 Email if interested in copper.